Another week of bits and bobs being finished as I try and clear the ominous lead pile …and try and push back another day where it doesn’t topple over and kill me. Where do you think I’ve been for the past few weeks? ~ Under the pile! (Help). First, and something which hasn’t seen much focus since the start of this modern project, The “Little Green Men”. Yes, whilst I’ve gone ahead and become distracted with other projects, my Russian Mechanised Infantry Platoon has been lacking its third squad for ages. Now its up to its full three squads, command section and 3 BMPs (with an older model T-90 as support). …Which yes, compared to all the other junk I have accrued since the start of this project is maybe a bit paltry (needing more fancy toys. I did make a modernised Russian BRDM-2 a while ago, but I’m not sure if that counts), but hopefully if I can come across some cool stuff that’ll change eventually. Perhaps one of those BTR-60s which I’ve ordered could receive a BPPU 30mm turret to modernise it. That is if I don’t steal the turret for something else shiny looking (I’m really wanting a GAZ Vodnik, which is a possibility if I can source a Tigr on which that vehicle’s based). Additionally, they could do with a SPG or something. 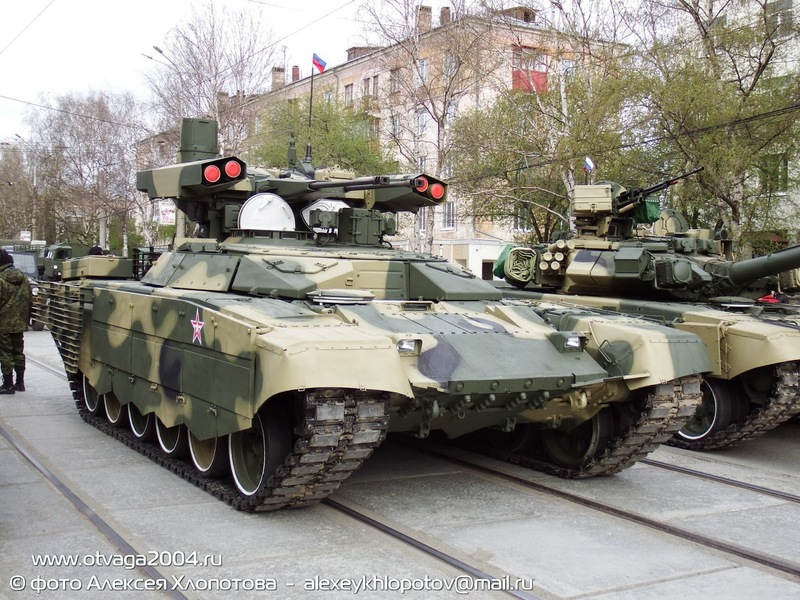 I have just ordered a drone tank from SASM to go with them, and have considered making one of those BMP-3s that’ve been converted into fire support versions too (or even that drone one, not that it’ll probably see service). Which reminds me that I had made that T-72 Terminator ages ago, which does fill that niche. Though regardless, they could do with some high tech gear t set them apart from the regular Separatists. In opposition to the Russians come a set of Nationalist Special Forces (or potentially foreigners), wearing Western sourced gear. But yes, speaking of cutting edge equipment, here’s another technical. Whilst they’re easy to make, I’m doing my best to shift away from making more technicals (whilst I still have ones left to paint). Just in that well, priority wise I really aught to make more terrain. …Which is what I’m always saying, and naturally don’t bother my arse to do most of the time – thus the ever present “make some more bloody terrain!” issue. On that note, there has been a bit of progress. A mix of fences, cobblestone walls, and other things that may not really fall into the exciting world of tanks and men with guns… Here’s some of the pieces – mainly a set of Empress Miniature’s resin walls, 1/43rd diecast cars that have had touchups to look a bit more dilapidated (those fallen leaves are going to be like crack to me when it comes to using them…), and two industrial sheds made from old Airfix HO Gauge train shelters. Ah, but back to the painted dollies. In addition to the technical, there has been more progress with my vehicle pool. I’ve become a fan of the MT-LB artillery tractor, as evidently has most of the world considering how often it shows up pressed into all sorts of roles. This one’s another of HLBS’s 1/48th resin vehicles (modified slightly to include some bits the base model’s missed out). I already have another MT-LB. That one was fitted with slat armour and a ZU-23-2. However, I wasn’t really convinced by those elements, or the paint job, so felt the need to go back and make a more ubiquitous one. Actually, it was the originally intention to have my nationalist forces mechanised infantry platoon riding in MT-LBs as a contrast to the Russians in their BMP-3s (with the nationalists having a tank or something to even the odds out a bit). Which besides the MT-LB, I also picked up a BTR-70 from HLBS as well. With this one being based on a particular miniature by another modeller which had been featured in a few magazines and competitions a few years ago (Military Modelcraft International’s Ukrainian Conflict special in particular if you’re wondering, which I’d highly recommend as just a good piece of literature in general). Between this and the BTR-80 I find the intermediary elements that cause the series to be quickly replaced by the 80 as selling points. Indicating more of the desperate nature of the conflict, as older and inadequate vehicles are pressed into service from mothballs. Unfortunately, as a result of its failings, there isn’t so many modernisations on the 70 as there are the 80, but I’ll be content with these more ad-hoc looking vehicles rather than fancy stuff like that BTR-3 which I’d made earlier. Tangentially, I did also purchase a 2S9 Nona turret along with these. With the idea being to use it to make a Nona SVK (a SPG based on the BTR-80 chassis, in use primarily by Russian forces), though more on that later. Here’s a random fighter armed with a Steyr AUG, made from an Empress Miniatures Australian. (Probably stole his gun and outfit off the back of a truck). Inspired partially by this image of Pro-Ukrainian militia leader Dmytro Korchynsky. And a set of individual fighters that were primarily made as an exercise to improve my sculpting a bit. Mostly to work on getting better at bodies and clothing, with heads and guns coming later (I can sculpt one type of face and that’s one of a grizzled old fart…). They’ll do as militiamen mostly, wearing mostly Soviet and Russian gear. The Cossack in the first image should do as a Separatist officer (with his sword and red scarf he’s a bit of a character). And that’s been another few weeks of what I’ve managed to produce. With that restaurant which I’d shown a good while ago now coming along, and most of the work now being focused on building up an interior then it will be ready to paint. A lot of my recent purchases have been terrain related – namely small pieces to add more detail to buildings. 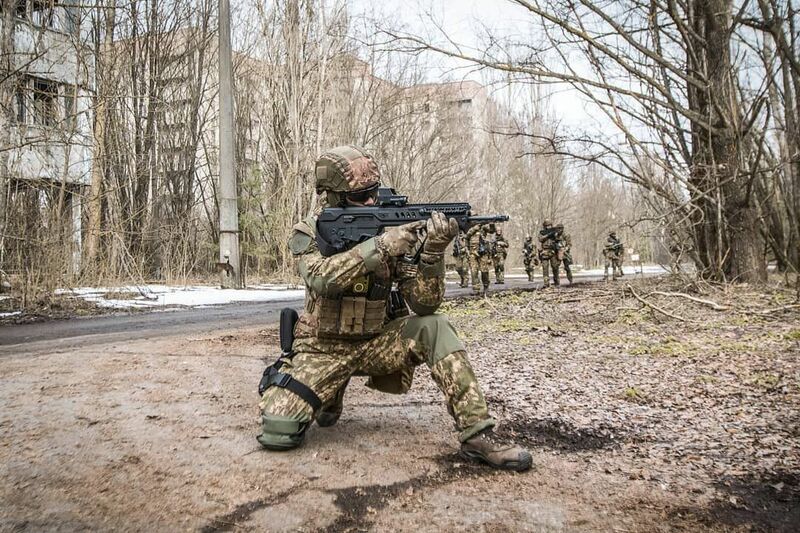 Though as I mentioned earlier I have some Mikromir BTR-60s on order, along with a load of SASM stuff (the new Ukrainian line), and aim to have some of Spectre miniature’s new Russian Spetsnaz painted at some point as well (but will likely give the ones I bought head swaps and have them serving as better equipped Separatists). Great work there- like all of it- hard to pick out a favourite.